An infopop is a small window associated with a particular SWT widget in a plug-in's user interface. It displays context-sensitive help and links to related help topics for the widget. It is activated when the user puts focus on the widget and presses the F1 key (Ctrl+F1 on GTK, and Help key on Carbon). 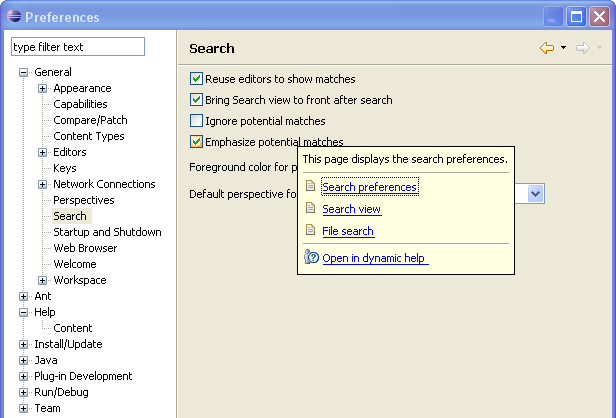 Since Eclipse 3.1, infopops have a link to show the currently displayed context help in the new Help view.